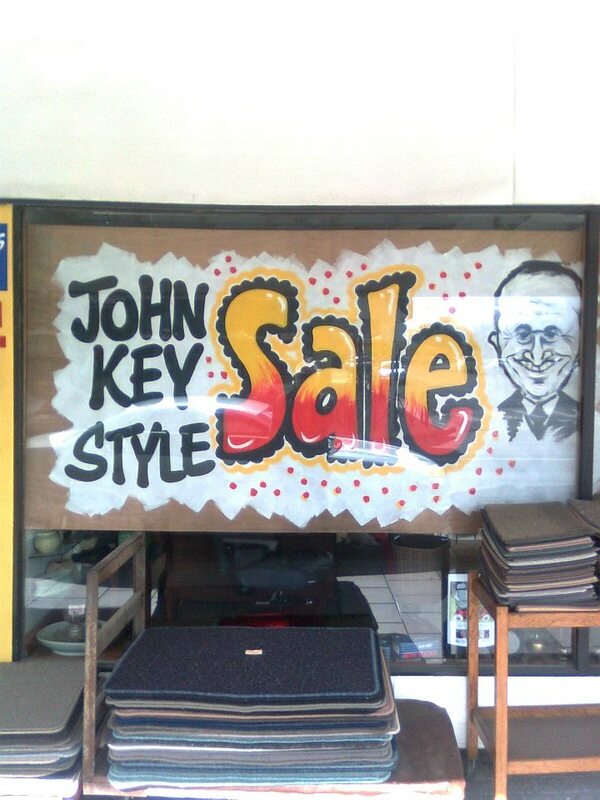 The Mendacities of Mr Key # 17: The sale of Kiwibank eight years in the planning? NZ Post’s, announcement on 6 April that it intends to sell-down 45% of it’s subsidiary, Kiwibank, appears to make good on Bill English’s inadvertent threat in August 2008 that Kiwibank would “eventually be sold”. English subsequently complained; “I did not choose my words well“. However, it now appears that English expressed his words honestly, disclosing a secret agenda to sell Kiwibank to someone he believed was a loyal National Party apparatchik. “There’s some bloody dead fish you have to swallow, to get into government to do the kinds of things you want to do. Once we have gained the confidence of the people, we’ve got more chance of doing more things. With the 2008 General Election only three months away, and with a new, untested Leader of the National Party (John Key) facing a seasoned, popular Prime Minister, the secret recordings forced National’s hierarchy to take rapid steps to “kill” the story. Two years and nearly two months later, and Key’s promise- like so many other committments he has made – appears to have been watered-down to permit a de-facto partial-sale. Even as NZ Post’s Directors were announcing the partial sale of their subsidiary, Kiwibank, Finance Minister Bill English was engaged in some well-rehearsed damage-control. No doubt with considerable prompting by Party strategists and media-minders, English reassured the public that National would not allow the people’s bank to end up in private ownership, as the former Postbank did February 1989 when it was sold to the ANZ Bank. To be blunt, National cannot be trusted to keep it’s word. Despite Key’s committment to end asset sales on 25 February 2014, it appears from Michael Cullen’s own statements that our esteemed Dear Leader was already aware at around the same time, that a partial asset-sale was being planned by NZ Post. During a video-taped press-briefing by Fairfax media, Cullen admitted that he and Key had discussed the partial-sale of Kiwibank that year (2013/14). 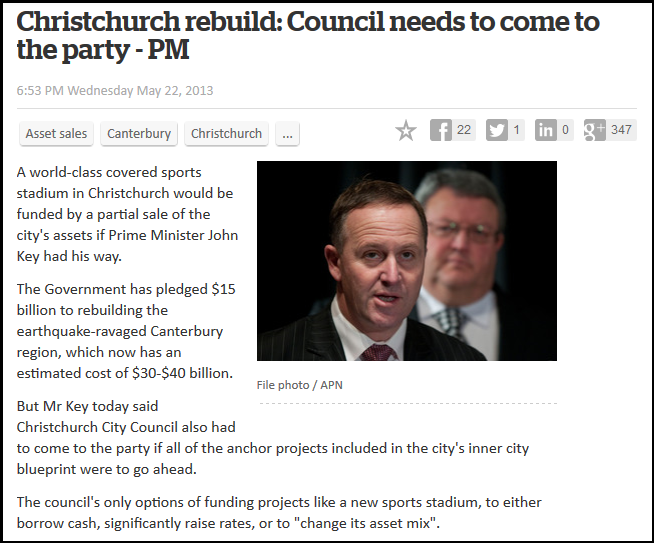 So when Key made his public promise on 25 February, 2014, that National’s asset sales programme was over – he was making that committment whilst knowing full well that the partial sale of Kiwibank was already underway. Broken promises and secret agendas – this story has it all. Who Pays? Loyal Kiwibank customers do! There is a hidden cost to the partial-sale of Kiwibank. The move could see Kiwibank’s credit rating slip by one notch from the current A+ to A as NZ Post will likely not guarantee Kiwibank’s future obligations once the deal proceeds. “…While a borrower will strive to have the highest possible credit rating since it has a major impact on interest rates charged by lenders, the rating agencies must take a balanced and objective view of the borrower’s financial situation and capacity to service/repay the debt. A credit rating not only determines whether or not a borrower will be approved for a loan, but also the interest rate at which the loan will need to be repaid. It is entirely likely that when a credit down-grade occurs (as happened to New Zealand under National in September 2011), the cost of borrowing funds will increase for the bank. Standard & Poor’s has indicated that following the announcement of the proposed transaction, Kiwibank’s long term issuer credit rating (A+) will be placed on credit watch negative pending the proposed termination of the standing guarantee provided by NZ Post. Should the guarantee be terminated, Standard & Poor’s has indicated it will result in a one notch downgrade to Kiwibank’s long term issuer credit rating (from A+ to A). That cost will either have to be absorbed, reducing their profit margins and making it easier for Key and English to justify full privatisation – or will be passed on to the banks customers. English will most likely not permit Kiwibank’s profit to fall as that would mean lower dividends paid into government coffers. Which leaves Kiwibank’s Mum & Dad customers to foot the bill for the partial-sale. 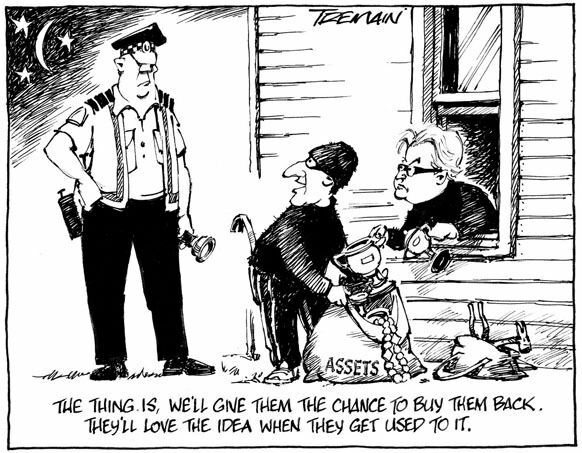 The sale to ACC and NZ Super Fund is a clever ploy. On the face of it, Kiwibank remains in wholly State ownership, albeit shifting it’s shareholders around, from one SOE (NZ Post) to three (NZ Post, ACC, NZ Super Fund).A kind of multi-million dollar Musical Chairs. English said any dividend payable to the government would “likely be several hundred million“. This would prove a godsend to English who otherwise would be struggling to create another Budget surplus in his May budget. “Our plan will help Kiwibank lead a change in New Zealand banking, by giving it a clear public purpose that requires it to drive competition to generate better interest rates for New Zealanders. We’ll help Kiwibank to grow faster by injecting $100 million of capital into the bank and let it retain more of its profits. 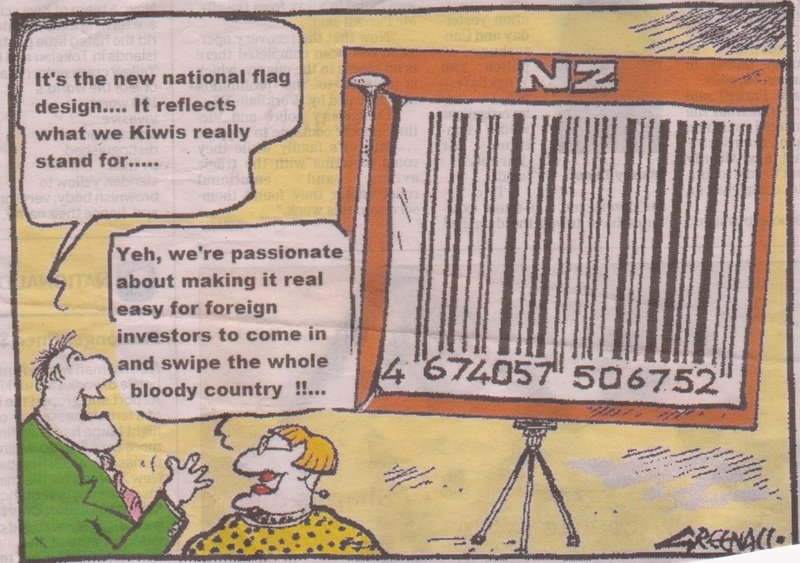 A deeply cynical person might suspect that after the defeat of John Key’s pet vanity-project (the recent flag referendum debacle) that National has decided to exact revenge against the many Labour and Green voters who voted to retain the current flag, by partial privatisation of a favourite state owned enterprise. Does such cynicism border on paranoia? In an era of Dirty Politics; tax-havens with trillions hidden away; and increasingly corruption of state leaders, officials, organisations, and institutions – the demarcation between healthy scepticism and paranoid fantasies blur, merge, and are tomorrow’s headlines waiting to be made public. The response of opposition parties has been mixed, with the Greens calling it a step down the path of privatisation. Labour leader Andrew Little said it was important Kiwibank stayed in public ownership. “And this does that, there are some good conditions around it,” he said. “This provides a way to get extra capital from these sovereign wealth funds, and hopefully for NZ Post to use the funds that they raise from the sale, to put more capital into Kiwibank. Meanwhile, Labour Party state-owned enterprise spokesman David Parker said Cullen should be congratulated on the idea. “This provides a way to get extra capital from these sovereign wealth funds… to put more capital into Kiwibank” and that “Michael Cullen should be congratulated for securing a route to expand KiwiBank”. Nothing of the sort will happen. So where Parker and Little get their cozy ideas about “putting more capital into Kiwibank” is unclear. Labour needs to get it’s act together on this issue. The future of the people’s bank depends on it. As for the mainstream media, it is high time they became aware of the many promises made by both Key and English – and their subsequent breaking. Otherwise, they too are failing the public. National, in the meantime, has carried out the perfect bank “heist”. It only took eight years to accomplish. This blogpost was first published on The Daily Blog on 11 April 2016. Letter to the editor – softening us up for another broken promise? Is this a prelude to another broken promise from National? National is facing a greatly reduced tax revenue as collapsing Dairy prices impact on our economy. 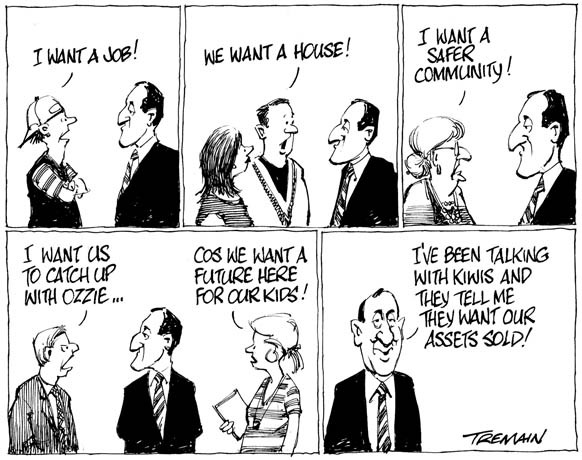 If National wants to sell more assets, they should call an early election and seek a mandate. Otherwise they are breaking yet another election promise. 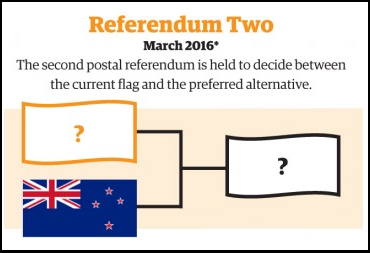 When John Key referred to a referendum as “… a complete and utter waste of money because it’s just about sending a message”, he was not referring to his much-beloved pet-project, the $29 million flag referendum. “In the end you have to say, what price do you put on democracy where people can genuinely have their say on a matter that is actually important? … This is a cost essentially of one of the values that New Zealanders would want to test. – whereas a preceding referenda on a critical economic/political policy was dismissed as irrelevent in the Prime Minister’s grand scheme of things. Nothing better illustrates the deep contempt which John Key holds the public and democracy than his inconsistent attitudes on these two referenda. If New Zealanders want to send our esteemed Dear Leader a definitive message, they might recall the decisive message they sent to the National-NZ First Coalition government in 1997, where 92% rejected Winston Peters’ superannuation scheme. 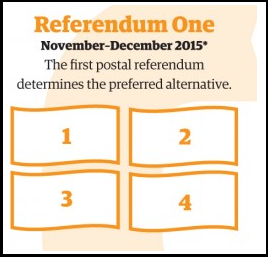 This is the ballot paper to spoil by writing over it your opposition to this referendum. In a written piece entitled “Winston Flags Referendum For Protest“, fellow blogger Curwen Rolinson suggests writing “I support the current flag” on your ballot paper. Or you can create your own appropriate message. The second part of the referendum will be held in March next year. This will be the run-off between our current ‘Stars’n’Jack‘, and an alternative selected from Step 1. This step must not be spoiled. A clear message can still be sent to our esteemed Dear Leader by voting for the status quo, to keep the current flag. If the alternative is defeated, and the incumbent flag is maintained as the preferred choice, John Key will have been shown to have engaged in a vanity project, and wasting $29 million dollars of taxpayers money in the process. By this simple strategy, we, the people, can show the same scorn to Key’s pet-project as he did to the asset sales referendum in 2013. Alternative Option 2: If Richard Aslett’s “eNZign” design (see top of page) is selected as the alternative for the March 2016 referendum (highly, highly unlikely) – vote for it. What better “legacy” for Key’s prime ministership than something that looks like the product of an LSD-induced trip? 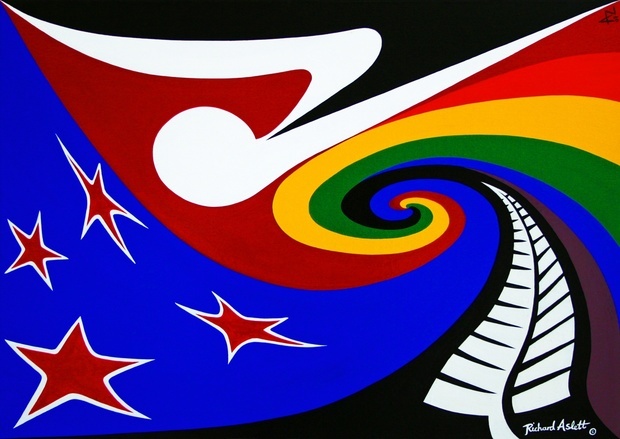 So not only will $29 million have been wasted, but a “trippy” flag will have been chosen that takes New Zealand back to the psychedelic 1960s. What better way to give Key the one-fingered salute? This blogpost was first published on The Daily Blog on 13 July 2015. I find it ironic that John Key has invested so much of his time, effort, and tax-payer’s money in the up-coming flag referendum. Key has staked his political reputation on a referendum which seemingly few New Zealanders want, nor care about. Spending $29 million on the flag referendum will be three times what was spent deciding the future of publicly owned, multi-billion-dollar assets. Key showed a casual, dismissive arrogance to the asset sales referendum – but now expects the public to take his own pet project seriously?! No, Prime Minister, that is not how it works. We will take your silly little flag referendum more seriously when you start to show respect to other public concerns. Until then, your referendum is little more than an ego-driven joke, and I suspect most New Zealanders will be dismissive toward it.